MOOCWatch 19: Coursera’s Revenue, Udacity’s CEO, and edX’s Master’s Degrees. The MOOC-based degrees trend continues, with edX announcing 7 new Master’s degrees, bringing the total on edX to 9. 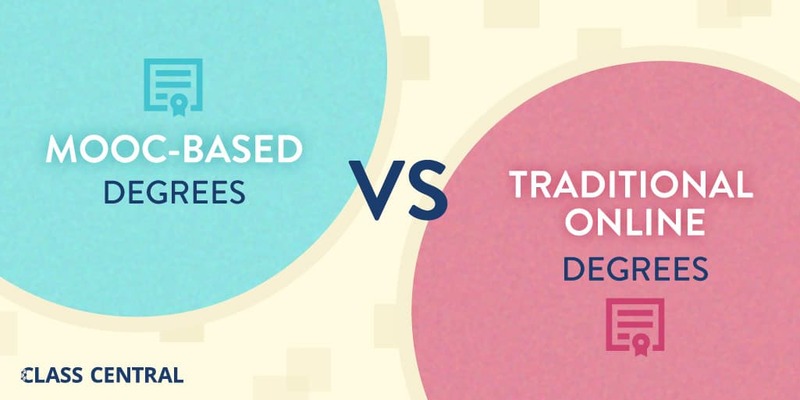 In a recent article, I explore five key ways MOOC-based degrees differ from traditional online degrees. 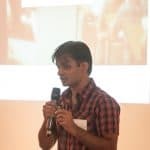 Class Central contributor Manoel, who has done his entire higher education online, shares his thoughts on 10 characteristics that could sway him toward one online degree over another. Udacity is now looking for a new CEO, as Vishal Makhijani has stepped down. According to Forbes, Coursera is estimated to make $140 million in 2018, a significant increase from Class Central’s 2017 estimate of $100 million. FutureLearn, which made £8.2M in the last financial year, is now looking to raise £40m to invest in its online degrees. Two conferences with submissions deadlines next week: Open edX 2019 (San Diego, March 26 – 29) and Future of Learning 2019 (Bangalore, Jan 4-5). More information below. According to Delft’s Willem van Valkenburg, MOOCs are already changing higher education in at least four important ways. According to Forbes, Coursera’s estimated revenue for 2018 is $140 million. Forbes also published a feature on Coursera. Udacity’s CEO Vishal Makhijani has “has decided to move on to new challenges,” according to co-founder Sebastian Thrun. With the major MOOC platforms continuing to launch more new degree programs, I decided to compare these new programs with older online offerings. 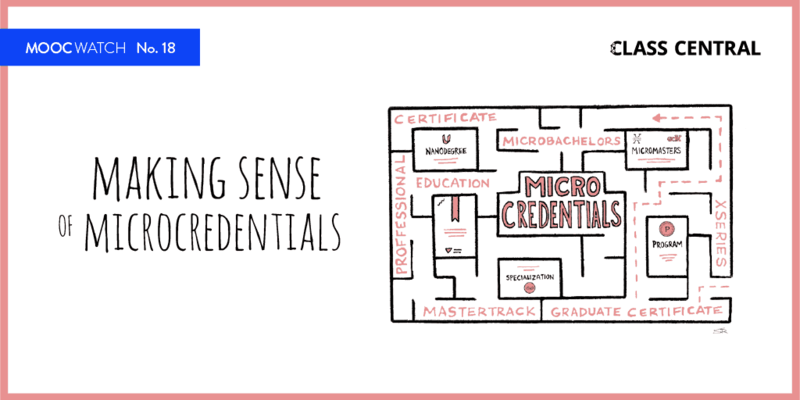 Turns out MOOC-based degrees are different in five key ways. In August, Class Central reported that edX had announced it would release 13 new online Master’s degrees. Last month, edX revealed 7 of those Master’s degrees. The Open edX 2019 conference takes place in March 26–29 at UC San Diego. Proposals are due by November 21, 2018. The Future of Learning Conference (FoL) aims to foster a dialog between academics, entrepreneurs, regulators, and technologists. The event will be held at IIM Bangalore on Jan 4th and 5th. The deadline to submit abstracts is November 20th. In May, edX announced that they will start testing a support fee. Class Central came across a few different experiments. Prolific MOOC-taker Ronny De Winter puts forward a credit system that could be applied to online as well as on-campus education. We explore five different sources of revenue for France Université Numerique (FUN) MOOC platform. Serial MOOC-taker Pat Bowden shares her tips on how to take better notes. 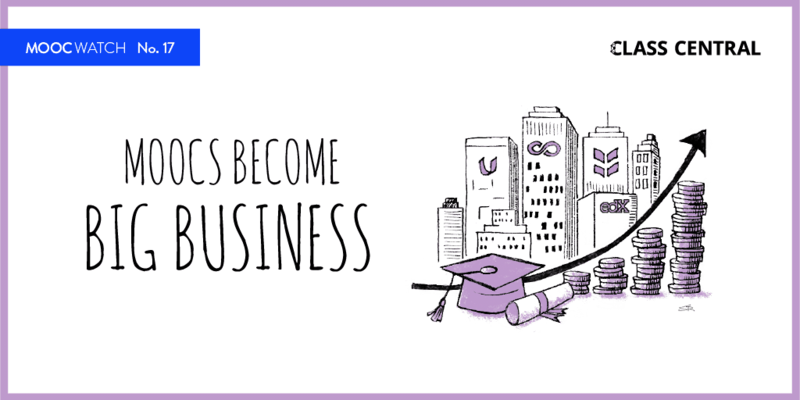 Australia’s Deakin University and Coventry University in the UK are offering a postgraduate course in entrepreneurship on the FutureLearn platform. Fees for the course, which will take a minimum of one year to complete on a part-time basis, will be A$8,800 (£4,900). Article in ET India on how MOOCs are faring in the country. According to TC, Udacity has laid off 5% (atleast 25 employees) since August. According to Udacity, this was done for strategic reasons. RMIT has partnered with Udacity to offer a course on self-driving cars. Chinese MOOC platform XuetangX has crossed 14 million students. The also offer 700 credit courses with more than 2 million registered university students who use them, mainly from SPOC platforms. MIT’s Introduction to Computer Science and Programming using Python has crossed 2 million enrollments. Marketing in a Digital World, a Class Central Top 50 MOOC has attracted 526,000+ learners, 154,700 active learners, and 13,200 course completers. Erasmus University Rotterdam’s Econometrics MOOC has crossed 1000+ completers out of 85,000+ enrolled learners. The Effect of Fires on People, Property and the Environment from University of Maryland crosses 2000 enrolled learners. 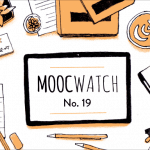 MOOCWatch is a monthly digest of information related to MOOCs meant for professors and administrators, or others who are involved in education and want to stay up-to-date in the MOOC space. In addition to broad coverage, MOOCWatch also contains unique data sourced from Class Central (such as course popularity rankings). 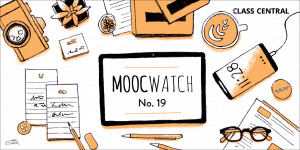 Subscribe to MOOCWatch here.